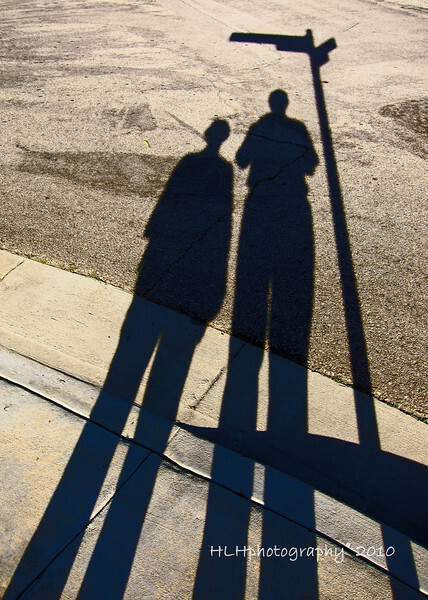 My wife and I had gone for a late afternoon walk when I noticed our elongated shadows being cast next to this street sign. I took my camera from my pocket, and "click!" A kinda self portrait(s) I suppose! Very cool thinking, to get this shot !! Very good people and camera positioning !! Very long and neat shadows. Well seen and shot. Awesome! Great eye, great capture.